David Hong is a Chinese-American. He was born in Chongqing, China and grew up in California. He attended UCLA and Claremont McKenna College in California for his undergraduate degree and then later received his juris doctor from Georgetown University in Washington, DC. 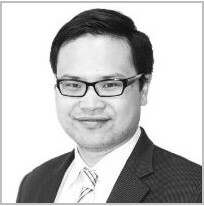 David joined King & Wood Mallesons in 2010. He previously worked at an international law firm in New York City and a law firm in Bangkok. Mr. Hong’s practice focuses on cross-border transactions, regulatory compliance, labor and employment, and intellectual property. His sector focus has been in technology where he primarily works with fintech, telecommunications, e-commerce, education, retail, blockchain and autonomous vehicle companies. David is a founding member of Heyi Blockchain, the blockchain advisory subsidiary of KWM. He has most recently been focusing on security token offerings as a channel for capital raising through the digitization of real world assets. David is known to be a creative advisor and has worked with clients to develop novel structures in order to comply with difficult regulatory requirements. David spends most of his time in Shanghai, but also travels to the KWM London office where he is helping international fintech and educational institutes identify and work with Chinese partners. David is an avid athlete and has a particular interest in the health and fitness sector, including nutritionals and wearable technology. David has been a part of the growth in interest of American football in China as a coach, player and organizer. He played American football professionally for the Shenzhen Naja in the inaugural season of the China Arena Football League and was selected as a member of the CAFL Dream Team; also winning the China National Championship in both the AFLC and Citybowl leagues. David is an advisor to the Shanghai Rugby Football Association, a Shanghai municipality-level governmental organization responsible for American football, rugby and Australian rules football activities in Shanghai. He also sits of the board of directors for Haven Network.